Sounds much better with a dance partner. 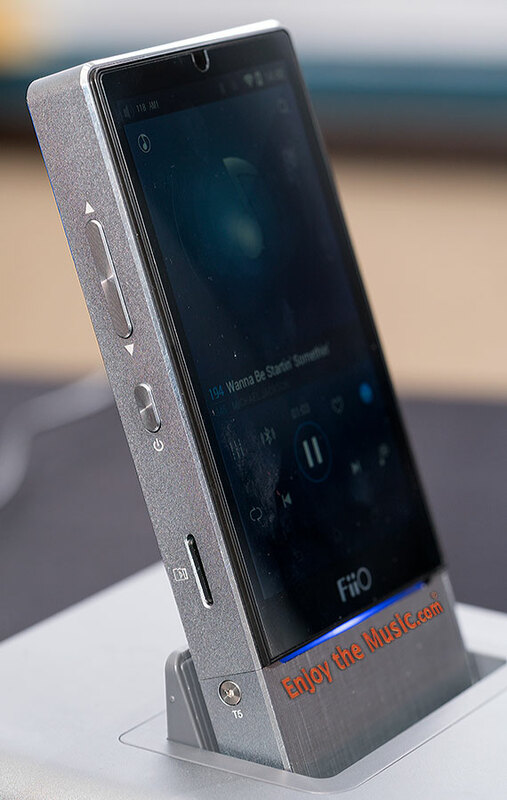 FiiO's X7 is the latest generation of their portable music players. Based around the Android 4.4.4 OS (firmware1.5) there is a normal mode and Pure Music, that latter avoids what the company feels is the Android OS' inherent shortcomings to ensure the highest audio quality playback. During TAVES 2015 with my trusty and highly regarded Sony NW-ZX2 and reference quality Noble K-10 CIEMs it was time to get to work with the beginnings of this review. During TAVES, and this review, I also used the excellent OPPO killer bang-for-the-buck PM-3 planar magnetic headphones I reviewed. 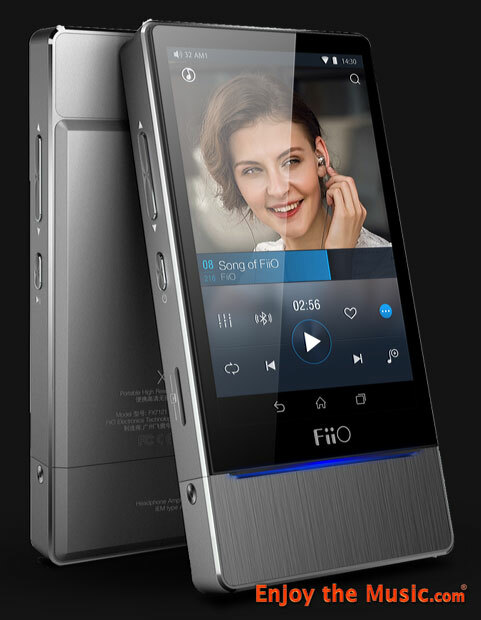 We must remember that FiiO's X7 at the time (November 2015) was still a work in progress and it showed. Unlike the highly polished and fine-tuned Android OS-based Sony NW-ZX2 where you can download any app from the Google Play store, during TAVES it was FiiO's choice to lock you out of choosing apps. 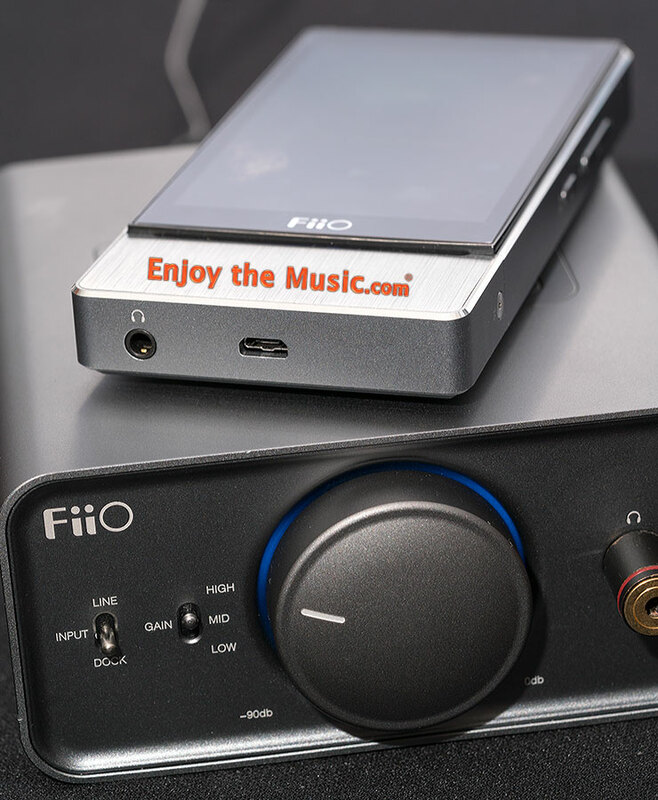 FiiO has listened to users and with the latest firmware you can enjoy all the benefits from using any app within the Google Play store. Battery life is the typical ~10 hours (via internal 3500 mAh Li-polymer battery) as we find with many portable media players (PMP), whereas the big guys like Sony gives you an industry leading 40+ hours. 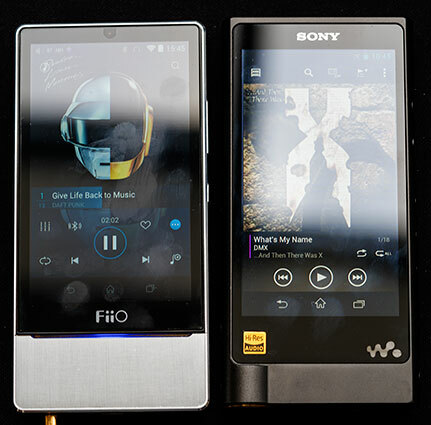 Pricing of the Sony is $1199 whereas the FiiO is $649, so perhaps a comparison to the Questyle QP-1R ($899) is more in the pricing ballpark. The PMP market is hot right now, yet you have to carefully choose what you can live with and without. Some are Android based and so the world of apps is wide open. Astell&Kern use their own OS and so app choices are few; thus they are dedicated music players without the opportunity to seamlessly expand as you so desire. There are a variety of impressive music player apps in the Android (and Apple) stores, thus choose your device wisely so you are prepared for advantages and drawbacks accordingly. 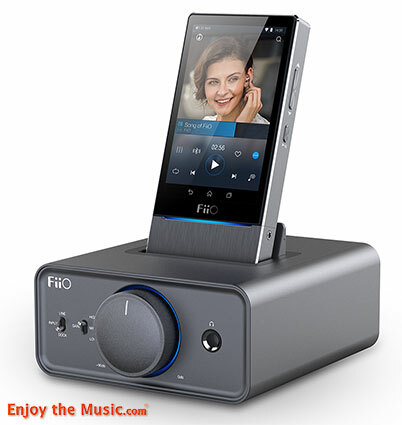 As perhaps the hottest price point range, $499 to $899, FiiO's X7 is in the middle-ground and thus falls in nicely to the many portable media players that are here. Astell&Kern's impressive little AK Jr is also at the midrange at $650 yet you seem to pay extra for the very tiny size of the unit (shirking electronics is costly in many ways). The Questyle QP1R at the higher end is extremely accurate, yet you can not access the Google Play store as it is based on their own OS. For those who truly want it all without breaking the bank, the Sony NW-ZX2 is the true winner at $1199. Sure the $3500 Astell&Kern AK380 is a great sounding unit, as one should expect giving the price level yet you are once again stuck without the ability to enjoy the many benefits of the Google Play store. Not everyone is willing to invest so much into their music players. Having reviewed all these players makes me realize that some companies, such as FiiO, release their product into Beta as a way to get free advice from their customers instead of hiring professionals. It can be very challenging to build a great product at a reasonable price within today's fast-paced market. Once your company settles on the internal hardware, you have to include a great user interface that provides flexibility to meet � and it is far better if you exceed � your customer's expectations. Once your product is perfected and you have everything ready, then comes your marketing strategy. 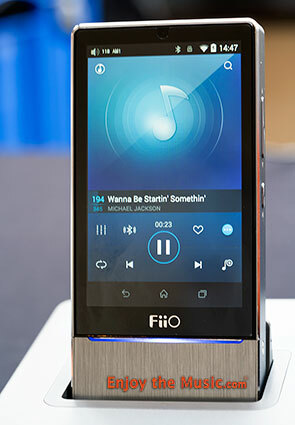 While Sony, as an example, hires professionals who truly know their jobs and understand the task at hand to resonate with their customers, FiiO seems to be dancing with the many freely available Beta testers. This makes having a widely successful product a bit more of a work-in-progress from the eye of the consumer. 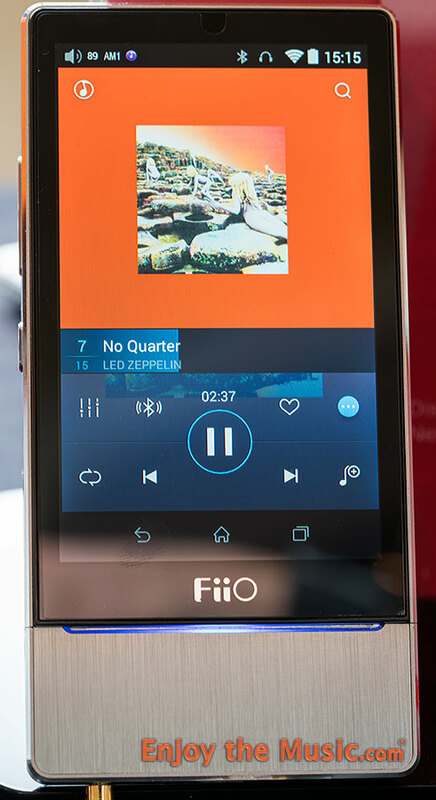 FiiO's X7 is an open platform as one would expect from using the Android OS. 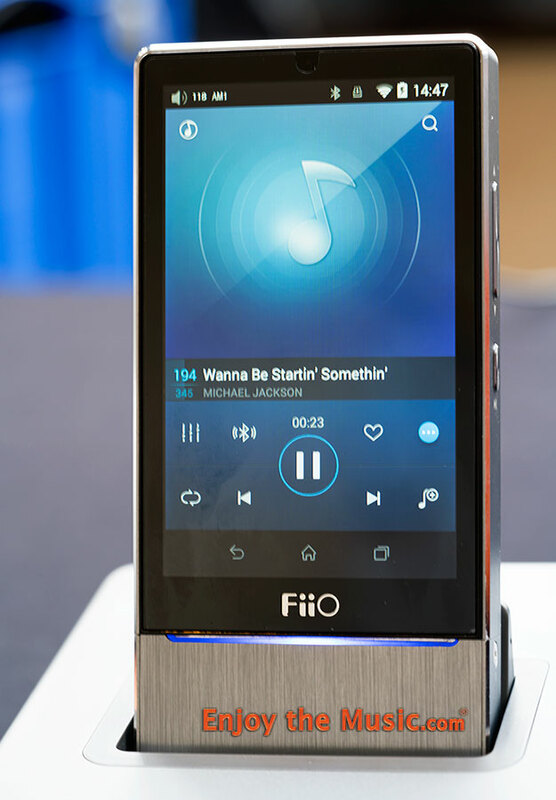 As the company's flagship, the FiiO X7 uses a system on a chip (SoC) approach via Rockchip's RK3188. A 3.87" 480x800 touchscreen provides access to the user interface. There are also hardware buttons on both sides for volume, track, on-off control. Memory storage is 32GB internally plus there is a microSD card slot to handle 200GB more. DAC chipset is a single copy of the highly-regarded full-version Sabre ES9018S, rather than e.g. two of the for-mobile ES9018K2M more often seen among competitors. Stereo analog output is via a discrete dual monoblock Class A design that produces 200mW per channel @ 0.01%THD through 16 Ohms. Maximum sample rates for the x7 is up to 64-bit/384kHz and DSD128. There is an easy to use 10-band EQ and 120-step volume control so you can customize the sound to your liking. FiiO's titanium case measures 130x64x16.6mm and weighs 220 grams. As I'm known for future trends, during 2016 we're going to see many more cell phones capable of playing Hi-Rez Audio 24-bit/192kHz and DSD. While the FiiO eschews aptX due to the cost of licensing, it was just announced that Gracenote will be offering custom EQ per song based on metadata (in 2018 model cars) while aptX has just released their 24-bit/48kHz Bluetooth capability. As I said earlier, the portable media player market is moving fast! "Fanefare For The Common Man" via DSD had wonderful rich harmonics and good bass, if a bit lacking in bass jump factor. Impressive dynamics overall that yielded a very enjoyable listening experience. Michael Jackson's Thriller in DSD showcases the FiiO's ability to render a good-sized soundstage width than the lower priced AK Jr. King is still the extremely expensive AK380 and Sony NW-ZX2, yet a balanced amp for the X7 could greatly expand this in the future. Overall dynamics with the FiiO seem to be a slight bit compressed on all music I heard. There is not as much dynamic separation between instruments and the spaces between the notes are not as defined as with other PMP units. Led Zeppelin "No Quarter" had the typical background noise as is within the recording yet the music shone through and was immensely enjoyable. There is dynamic compression happening within the music so that both on the macro and micro level things sound a bit constrained. Here's an interesting idea for PMP manufacturers, add in an EQ and a dynamic compression/expansion capability. Now before you start throwing things at your computer screen, table or phone when reading this, true professionals use such things very often during music production and mastering. Now that we have given in to EQ adjustments, why not go the next step and provide the ability to control overall dynamics too? Just a thought. The uppermost highs are a bit subdued, especially with cymbals, wind chimes, etc on my recording THTST. Deep bass on such songs as my IASCA test discs and EDM sound like the amp section runs out of power, thus yielding smearing and a lack of definition. Note that this is with the Noble K10, which are extremely sensitive as so am not using power pigs that, we all know, east up amplification power akin to a large delivery truck consumes gasoline. FiiO's X7 is a very pleasant sounding unit, yet lacks dynamics and inner definition I was hoping to hear with a unit at this price level. For a few hundred more you can get a Questyle QP1R that is far more accurate, yet lacks the expandability FiiO X7's Android-based device offers. 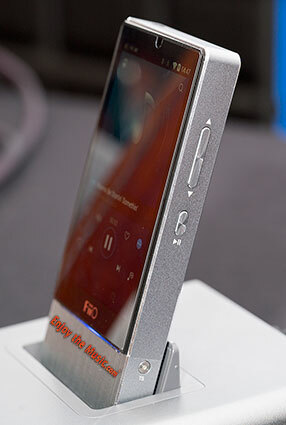 The FiiO leans a bit more towards the $1198 Sony in sound personality in many ways, yet falls short in sound quality. FiiO K5: This... Changes... Everything! The FiiO K5 ($110) headphone amplifier transforms the X7! Since we're now using the X7 as a type of preamplifier you get the benefit of more headphone power, RCA preamp output RCA line input, balanced output, USB and Dock input. For the time being, the USB section is not usable yet in the future firmware update by FiiO they plan to allow you to hook your computer to the K5 and then use the DAC inside the X7. So, eventually, with the K5 you can greatly expand the capability of the FiiO X7 by using the K5 wall-powered dock. It is great to have all these added features (at some point in time), yet what happens to the way the X7 sounds since the K5 charges the sound of the X7. Well, other than glorious dynamics, impressive instrument separation, free-floating stereo soundscape, deep and powerful bass plus extended highs, not much. Yes that was a bit of /sarc as the K5 transforms the X7 into something that, well, if they could find a way to make the X7 sound on it's own I'd be in awe of the sound quality versus price. Now that we're reaching Questyle QP1R territory in price, with the limitation of being tethered to AC in the case of the X7/K5, things are getting far more interesting! Ok, the Questyle edges this combo for the ultimate of resolution, yet the sound in a �tween of the Sony ZX-2 and Questyle QP1R, with the added benefit of accessing the Android Play marketplace. It almost sounds like the Sony and Questyle made love and gave birth to the X7/K5 combo! Fiddling with the setting within Neutron I could get the X7/K5 combo to sound very close to the Sony NW-ZX2 yet with the added benefit of far more headphone power output. If I am starting to sound a bit excited, well, it is because I am! Sure you remove a bit of the Sony euphoria as the sound leans a tiny but away from the Sony sound towards the Questyle accuracy. Oh, and the stereo soundscape gets a shitload better with the K5 too (wait, did I just type shitload?). So this begs the question what is holding the X7 as a stand-alone device back? Could it be the amplification section? Perhaps, and good thing FiiO can easily offer up a user-replaceable amp section because I'd give my left testis to hear the X7 with a more capable amplification section. As I've been editing, and some additional writing, of this review have been swapping out the X7 as a stand-alone and with the K5. My typing during X7 alone was slowish to OK yet as soon as I add in the K5 my mind and fingers get all excited and move at a faster pace. Music is not just some smattering of frequencies / wavelengths with SPL pulsations and harmonics, it is in how it makes you feel.... Or it may amplify your feelings/emotions per your music choice at a given moment in time to (perhaps) enhance life's experiences. What type of experience do you think is being offered to iPhone users via MP3 and those horrid stock earphones? Am sure no one reading this would use such dreck as you know that your experience with music can be far closer to what the musicians intended by using higher quality equipment. Haven't we already lost two or three generations of music enthusiasts to crap, and so it is time for Hi-Res Audio and higher quality audio equipment to deliver the goods. The FiiO X7 with K5 delivers the promise of high quality music that brings emotion and, dare we say, involvement as the musicians intended. There is something going on that instinctually has humans to giving far more attention to the music and not having it as just low-fi background noise. FiiO's new dynamic duo unleashed the power of Hi-Res Audio music that far exceeds the lackluster experiences that have weighed heavily on �the lost MP3 generations'. 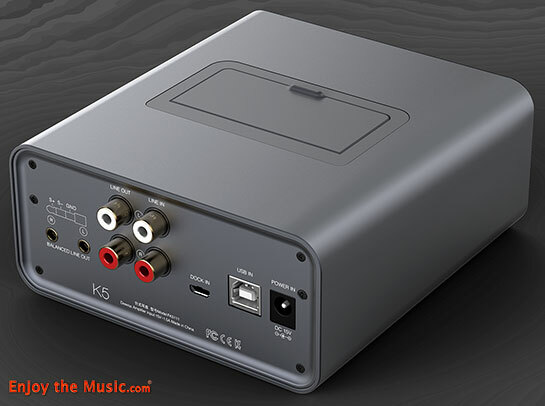 Am right now looking at the X7 and K5 on my desktop and am smiling with the future possibilities that next-gen music lovers can find within their music they never knew was possible. 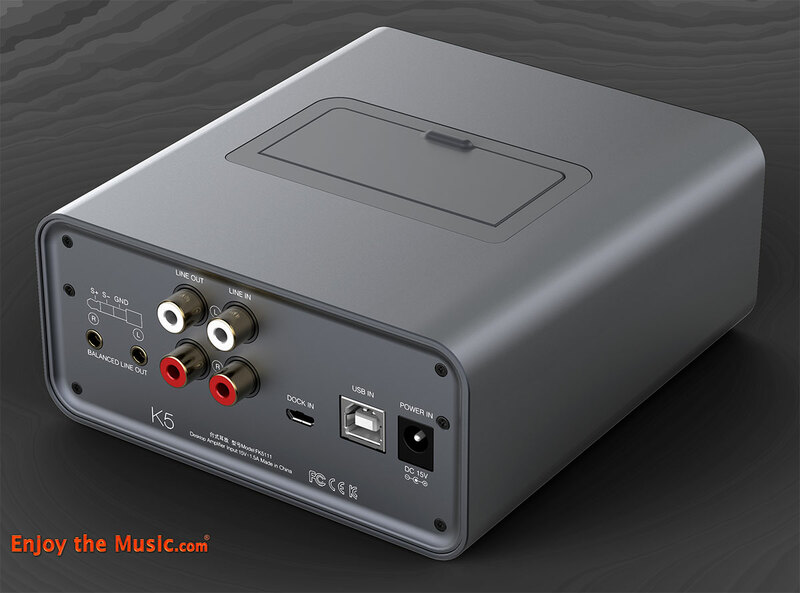 The added flexibility provided by the K5 means it can be the centerpiece for your course material, with the line input being perhaps a turntable rig!